"This is overwhelmingly a valuable book - particularly in the context of science education in the UK. It is a book that deserves to be read more widely by science teachers, particularly those who seek not simply to extend their repertoire of teaching techniques, but who wish to place these techniques upon a sound academic footing." "I have greatly enjoyed reading through Science Education for Citizenship. It is extremely informative and contains much of value. We will definitely be putting it on our MA in Science Education reading list." 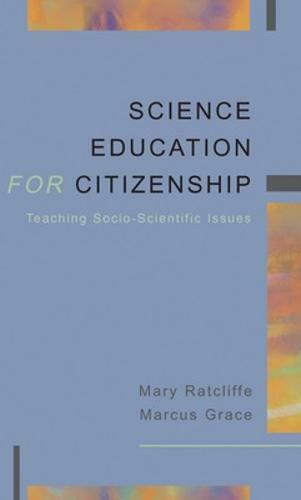 This innovative book explores the effective teaching and learning of issues relating to the impact of science in society. Research case studies are used to examine the advantages and problems as science teachers try new learning approaches, including ethical analysis, use of media-reports, peer-group decision-making discussions and community projects. offers practical guidance in devising learning goals and suitable learning and assessment strategies helps teachers to provide students with the skills and understanding needed to address these multi-faceted issuesexplores the nature and place of socio-scientific issues in the curriculum and the support necessary for effective teachingScience Education for Citizenship supports science teachers, citizenship teachers and other educators as they help students to develop the skills and understanding to deal with complex everyday issues.